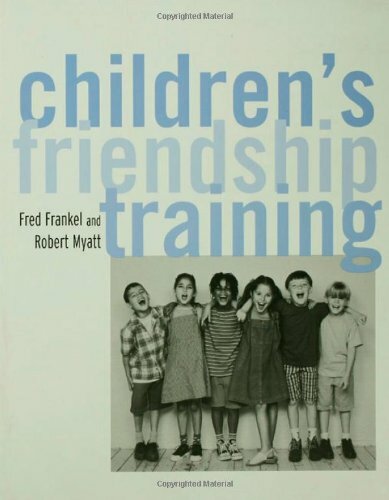 Children’s Friendship Training by Fred Frankel and Robert Myatt. This book is a manualized guide for therapists treating children with peer problems. Representing over twelve years of research, Children’s Friendship Training presents the comprehensive social skills training program developed by these pioneering authors. Proven step-by-step interventions will help children develop the skills to initiate mutually satisfying social interactions with their peers. These interactions can lead to the development of consistent and satisfying dyadic relationships that will, in turn, serve to enhance overall well being of the child. Pp 224.